Are you one of 3.5million vegans who love and follow a plant-based diet? The exponential growth of veganism is phenomenal. Latest figures indicate the vegan lifestyle has seen a whopping 700% growth in just over two years. This year’s Veganuary – where individuals pledge to “go vegan” for the month of January – has been its most successful on record, with over 168,000 participants, which included over 79,000 omnivores. 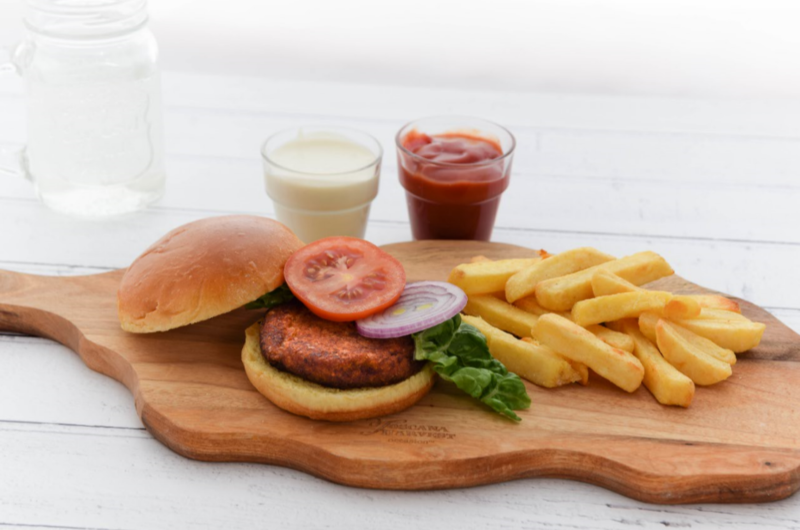 With many enjoying the flexitarian approach in a bid to reduce general meat consumption, it proves that one doesn’t have to be a fully fledged vegan to enjoy the benefits of a plant-based diet. 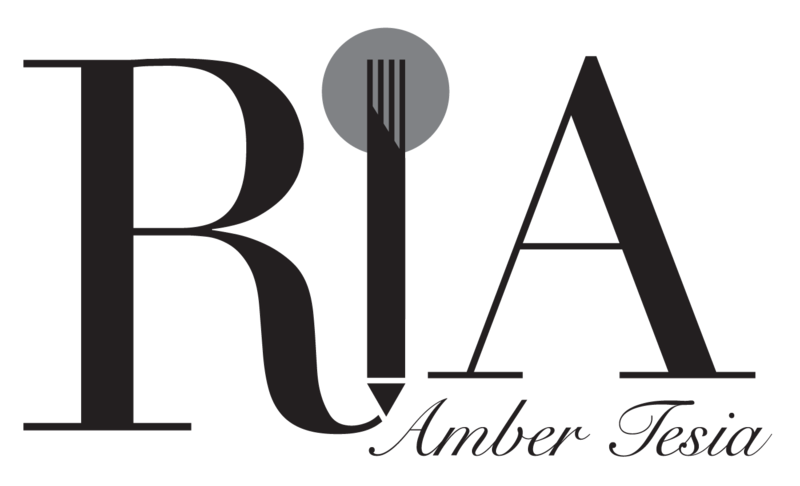 One of my new year’s resolutions is to increase my vegetable intake, and I have found this easier when the product range both in restaurants and at home is diversified. 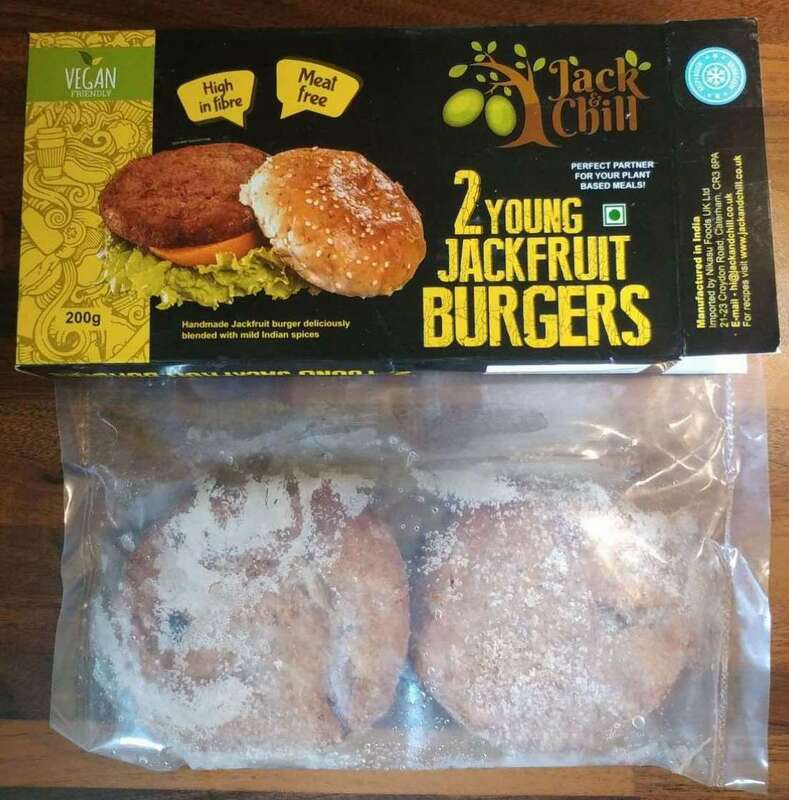 I was very excited to try out the new plant-based range by Jack & Chill. Launching earlier this month, their vision is to create delicious, flavoursome jackfruit products for everyone. I tried their jackfruit burgers, jackfruit biryani and plain pulled jackfruit, the latter which I will use in a bespoke recipe to be reviewed in a standalone post. Jack & Chill jackfruit products are frozen and arrive in robust, recyclable packaging. It takes just 10 minutes from freezer to table, meaning this could make a quick mid-week supper. The jackfruit burgers are handmade and mixed with a subtle spice blend. I tasted lovely onion notes with a whisper of warming ginger. Whilst the burgers were being cooked in the oven, I whizzed up some vegan mayonnaise (I’ll post the recipe for that later). I found the burger had a good bite, and the size of the patty was generous. It went very well sandwiched between an oven-warm brioche bun, and had a pleasing aftertaste. I would buy this in future and not only eat as a burger, but also experiment with it as an ingredient. For example, I would bake off the burgers going by the instructions on the packet, then fashion the burger into golf-ball size rounds, before battering and frying. These would be a nice twist on finger food and great for sharer boards. The Jack & Chill biryani was one of the fastest biryanis I had eaten. Five minutes is all it took; three minutes to begin with, a quick stir, then two minutes to finish. Rice grains that were light and fluffy, intermingled with meaty chunks of lightly spiced jackfruit were very good indeed. 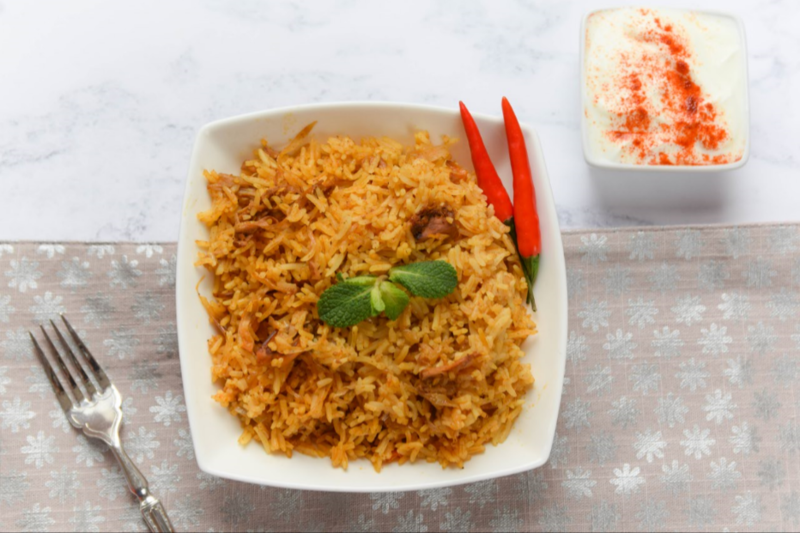 I served the biryani alongside paprika spiked yoghurt and a few red chillies (I have an asbestos mouth and like my food extra hot). Both the burgers and biryani were delicious, but in different ways. The burgers had a softer mouth-feel whilst the biryani felt more meatier. Both will appeal to vegans and non-vegans alike, and I applaud Jack & Chill for bringing a delicious product to market. Jack & Chill have achieved plenty in a few short weeks. Being stocked in over 50 health stores is just the beginning for this innovative company, and they are currently in mid conversation with supermarkets to get their product stocked there. To find out more about Jack & Chill and find a local stockist, please visit their website now.